← Caspian appears as Kumlien’s returns – twice in a week!!! 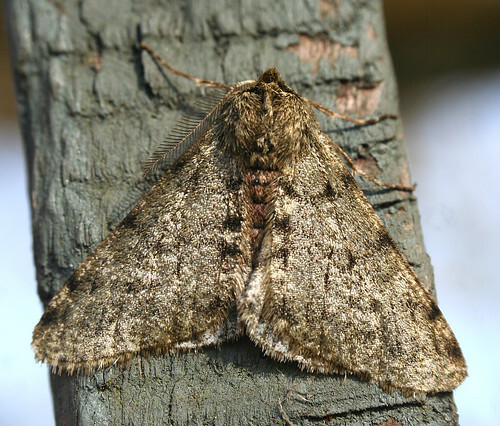 After weeks of quietness, the 2014 moth trapping season sprang into life over the second weekend of March at Tophill Low NR, East Yorkshire. 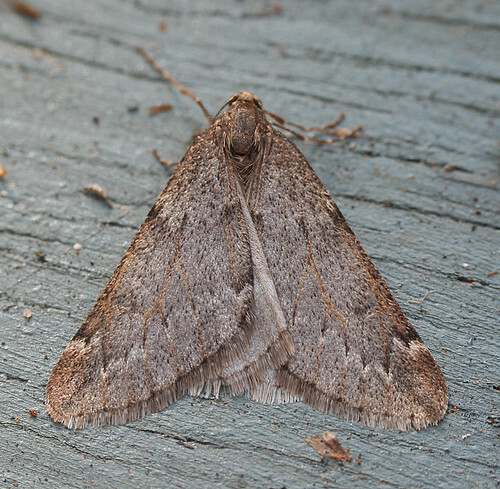 Several March Moth Alsophila aescularia appeared in the traps right on cue, along with the opening Clouded Drab Orthosia incerta of the spring. 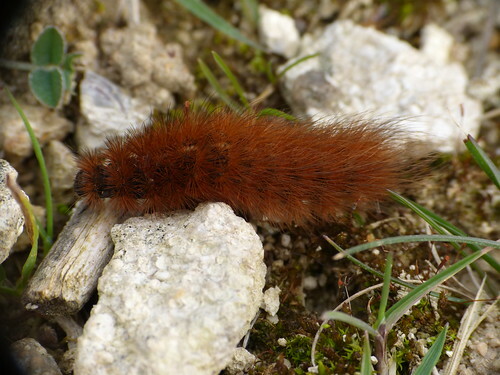 A few Pale Brindled Beauty Phigalia pilosaria remain, while this Ruby Tiger Phragmatobia fuliginosa caterpillar below was photographed by Doug Fairweather. The spring sunshine on March 9th saw a few butterflies on the wing with Brimstone Gonepteryx rhamni and Small Tortoiseshell Aglais urticae noted in small number. 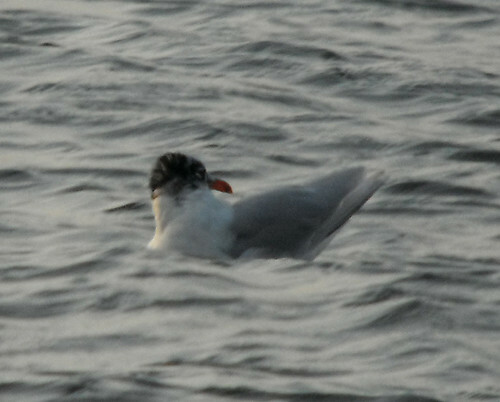 Despite the dwindling roosting gull numbers, three new Mediterranean Gull Ichthyaetus melanocephalus appeared over the last fortnight, including this 3rd calendar year type/adult bird – which I thought may have been a 3rd winter until reviewing the photos. A minimum of 15 Lesser Black-backed Gull Larus fuscus graellsii on March 8th was the first decent count of the year, while Herring Gull L. argentatus argenteus and Great Black-backed Gull L. marinus counts struggled to reach double figures. The first singing Chiffchaff Phylloscopus collybita were vocal on the 8th, while decent souring conditions on the 9th saw a minimum of seven Buzzard Buteo buteo, presumably the local birds, high in the skies, but disappointingly nothing else could be picked out. 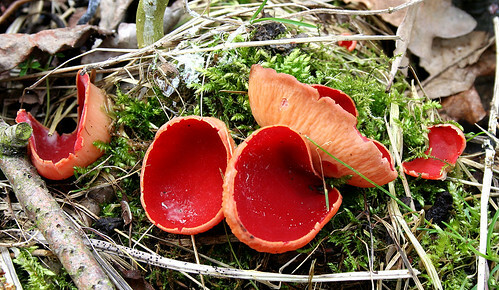 Some nice fungi species have been seen over the last few weeks. 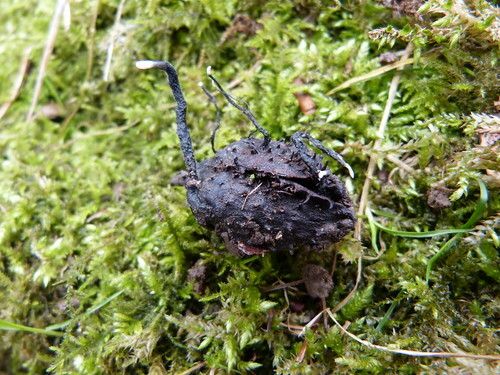 This Beech mast Candle Snuff Xylaria carpophila typical for the period photographed by Doug Fairweather, while the Scarlet Elf Cup Sarcoscypha coccinea are still out in good numbers along with smaller numbers of Cramp Balls Daldinia concentrica. 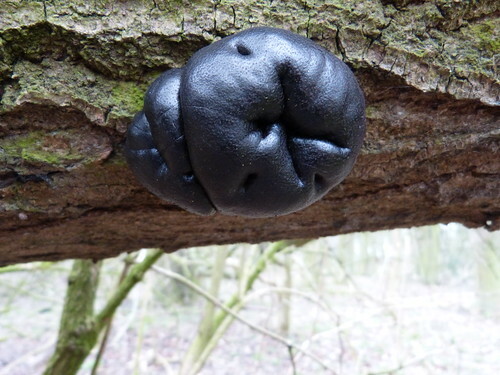 As ever, click here for the latest news from Tophill Low.